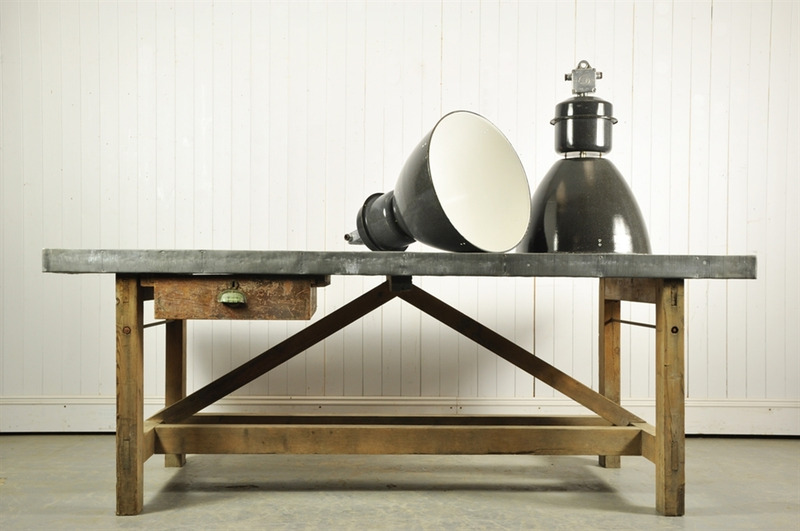 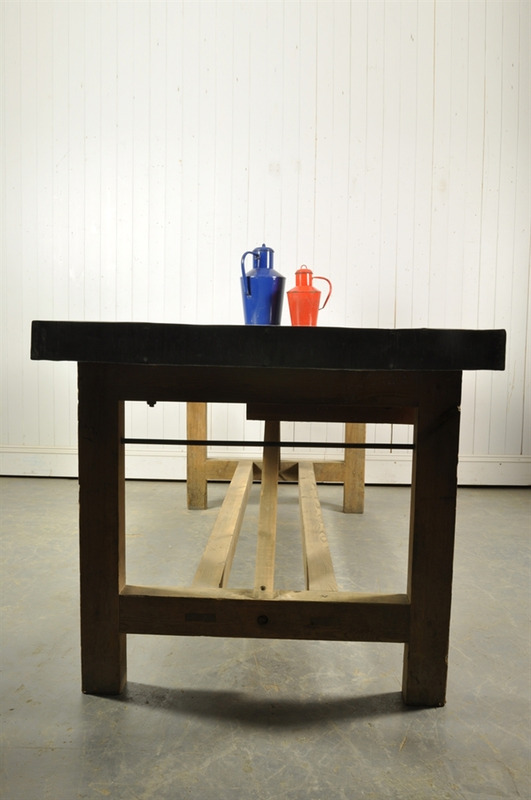 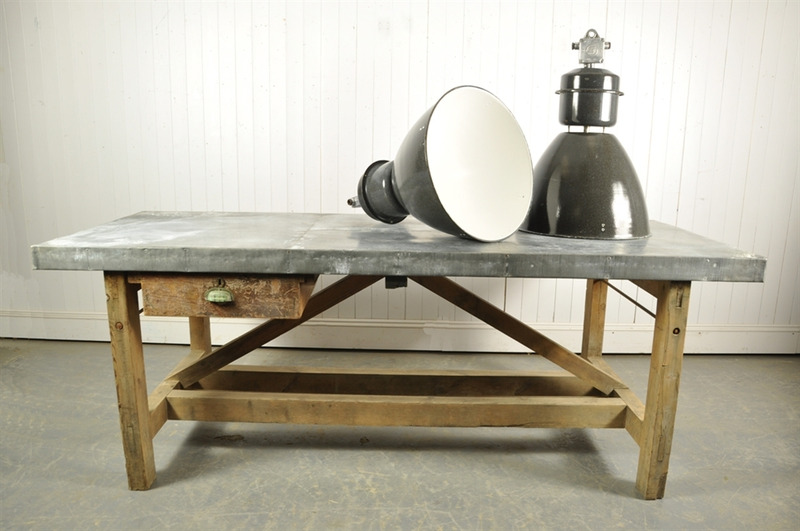 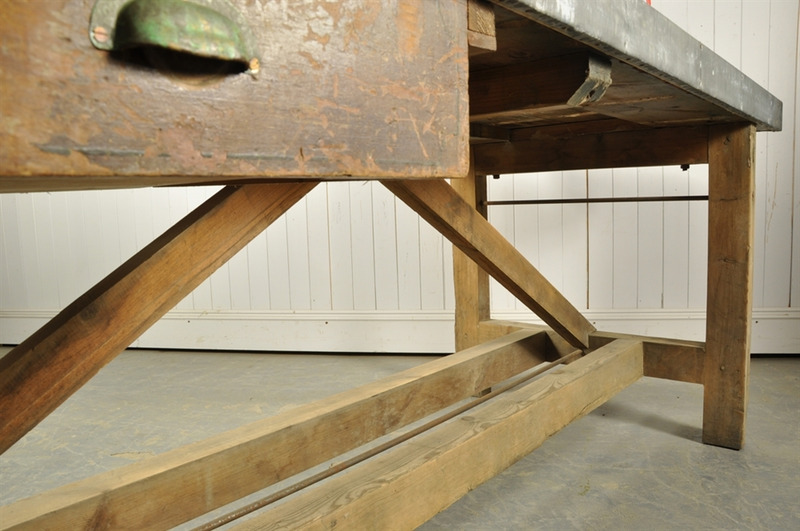 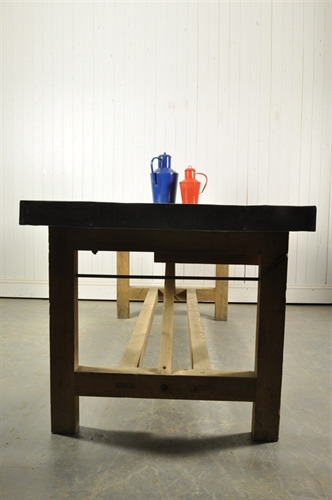 This workbench is circa 1920 with unusual iron support bars holding everything together. 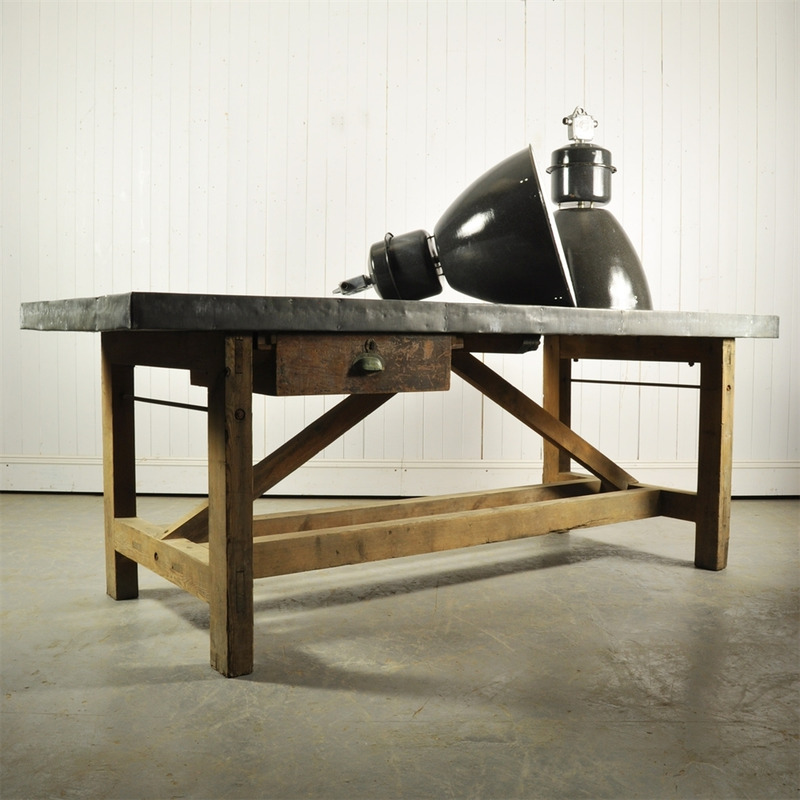 The base is completely original, lots of natural patina to the chunky wooden frame. 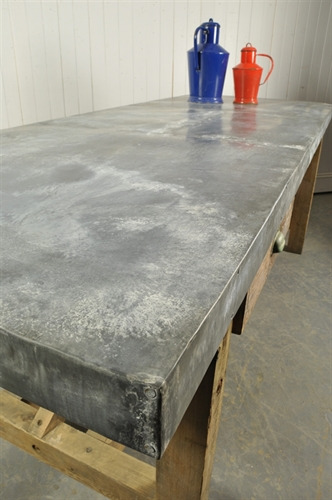 The top has been re-covered with new zinc - which has been aged to give an interesting finish. 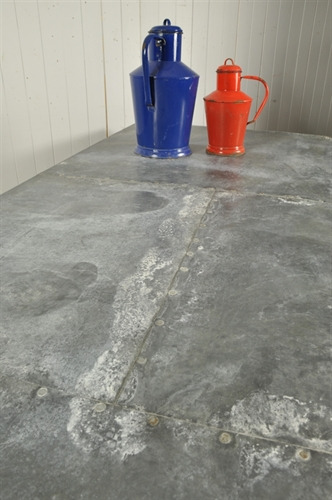 Please see the about us section of the site to see how to care / live with zinc tops. 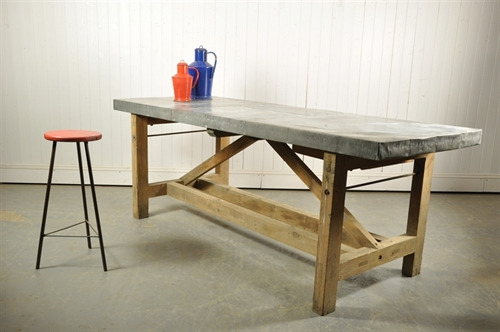 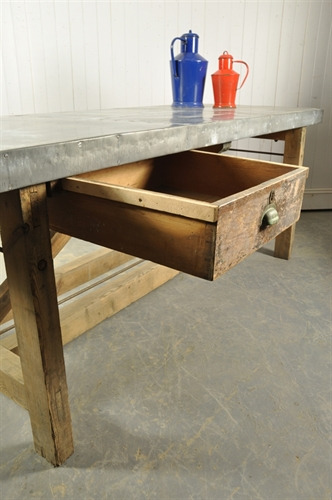 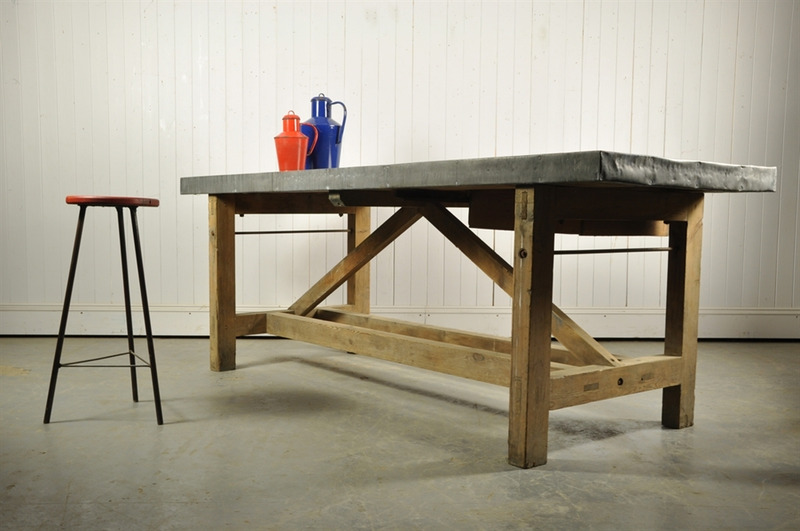 Lovely as a kitchen island / serving table and great to break up large retail spaces.